Now that we have a child, Halloween has become even more fun. Most people go to the pop-up costume store or maybe even the thrift store to find their children’s costumes. There is nothing wrong with that and really kids look cute in almost any costume. I am fortunate enough to have a wife that is gifted at sewing! She seriously blows my mind when it comes to what she can whip up in a few hours. 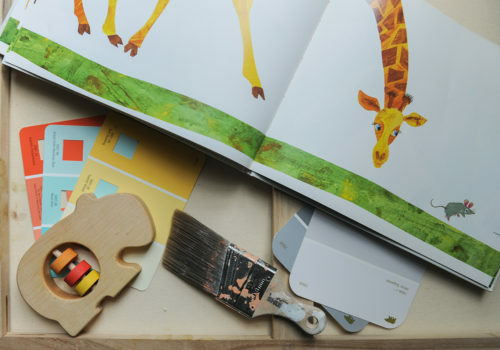 It comes seemingly effortless to her although I know a great amount of painstaking work goes into each project. This year Juniper is obsessed with Peppa Pig. Every morning as we come down the stairs she oinks (it is actually an amazing pig noise) asking to watch Peppa. 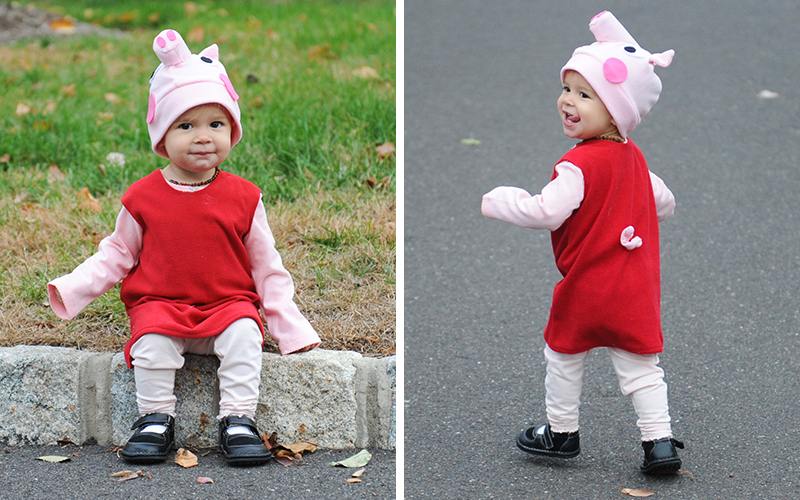 So naturally we decided she would be Peppa for Halloween. We could have bought a Peppa costume on Amazon and almost bought a pig getup from the thrift store. But Lindsay wanted to make one herself, and boy am I glad she did! 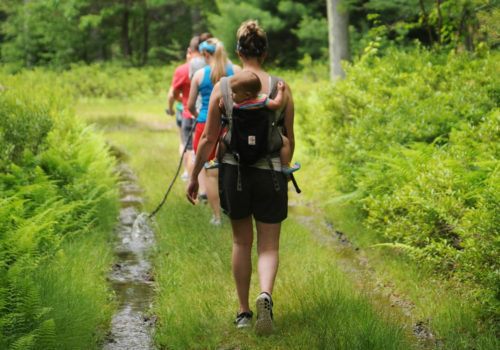 I mean look how cute this little piggy is! It has been a battle keeping the hat on but with enough distraction we managed to get these pictures. The version that Lindsay made is constructed to keep Juniper warm for the chilly northeast trick-or-treating. 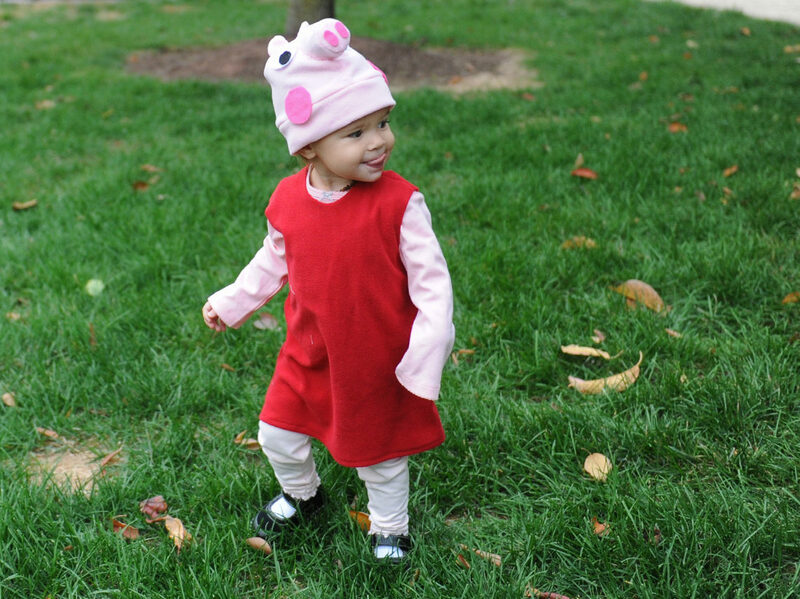 A long sleeve onesie and long pants make the perfect base layer for the red fleece dress to cover. If we can manage to keep the hat on it will serve well as another element to keep her head and ears from freezing. One reason that Lindsay and I are perfect for each other is because we are both obsessed with details! 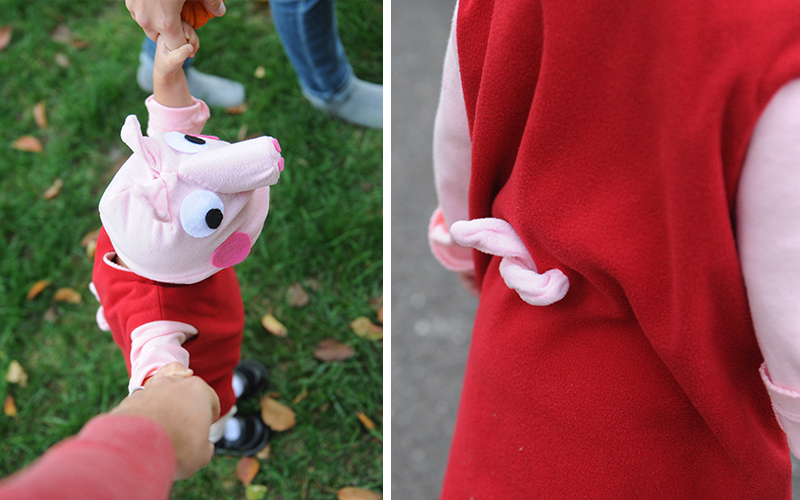 Rosy cheeks, bendable ears and a spiral tail are all special touches that really make this the best Peppa Pig costume I have seen. While this costume may seem above your skill level (I know it is above mine), I’d love to hear and see your ideas for kid costumes over on our Facebook page.